Like a sonata, this novel has three sections, the central one introducing a different key – present-tense, and moving back in time. This story of loyalty, betrayal and forgiveness is set in Switzerland, at first in the years immediately following the second world war, then shifting back to the 1930s. The main viewpoint character, Gustav Perle, is dutiful and self-effacing, sublimating his own loves and desires from boyhood until late middle age. His father, Erich, died suddenly while Gustav was still an infant and he is brought up in poverty by his coldly grudging mother, Emilie. Aged five, he meets Anton Zwiebler, who will be a significant throughout his life; but Emilie resents Anton for being Jewish, and discourages friendship with the affluent, cultured and middle-class Zwieblers. “The Jews,” she tells Gustav, “are the people your father died trying to save.” In this section Tremain is particularly good on small details of childhood toys and games which will recur in later sections: the painted faces on the sides of Gustav's toy train carriage, the doctor and nurses game the two boys play in a deserted sanatorium, and the blood-pact they take, cutting their arms with the blades of ice-skates. It’s in the middle section that we learn of the dilemma facing Erich Perle, and in which he showed compassion beyond his wife’s more limited emotional understanding. In the late 1930s the country faces an influx of Jewish refugees from Austria, France and Germany, a situation with contemporary resonance for readers. Erich, an Assistant Chief of Police, finds it hard to look at these desperate people; as his colleague says, “It could be us on those hard benches. And that’s what we’re most afraid of – to look out there and see ourselves.” In the summer of 1938 an order is given that all Jews attempting to enter Switzerland must be sent back. Soon Erich is moved to compromise his sense of duty – at the risk of his job - by falsifying records, knowing that otherwise the Jewish people seeking help will face suffering and death. It’s an illuminating picture of an aspect of the war with which I, for one, was unfamiliar – the fears of Swiss people that neutrality would not be honoured by Germany and that their country, like Poland or Czechoslovakia, would be invaded. Emilie never forgives her husband for what she sees only as betrayal. “He put Jewish lives before mine. He cared more about helping strangers than he cares about me.” Yet Tremain allows us to feel some sympathy for Emilie by giving glimpses of her childhood with her own mean-spirited mother. In the final section we return to Gustav, now in his fifties, running a mediocre – and soon struggling – hotel in the same unremarkable town in which he grew up. 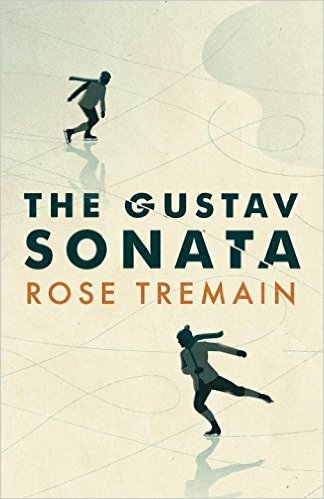 His friendship with Anton has endured, but is threatened when Anton, a talented pianist whose nerves have always prevented him from performing in public, is given a new opportunity, taking him to Geneva. Anton is careless of Gustav’s devotion, and after he leaves – excited about his prospects, heedless of deserting his closest friend - it seems that Gustav is destined to spend his mature years as “a sad, grey donkey” in the company of elderly people – his mother (as grudging now as she has ever been), Anton’s parents, a regular hotel visitor from England, and the voraciously sexual wife of his father’s former colleague. It’s a long, patient wait for the fulfilment the reader will surely feel he is due. “We have to become the people we always should have been,” he is told, in a moving, perfectly-pitched ending which brings back motifs from the first section.